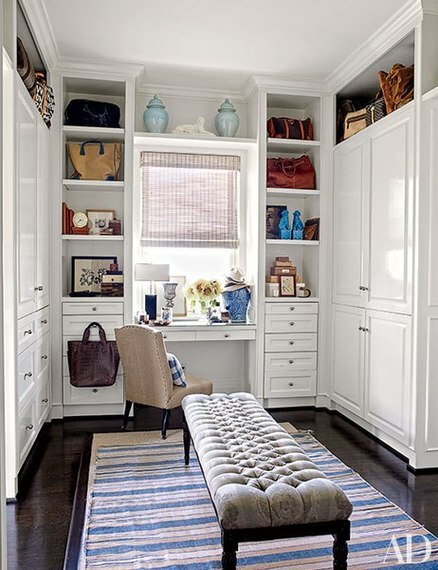 Looking for organization inspiration? 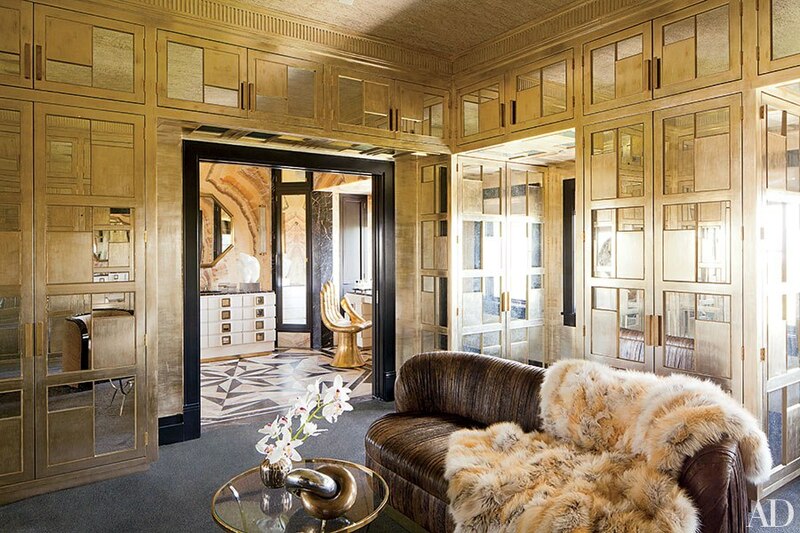 These over-the-top closets and dressing rooms from the AD archives will inspire a wardrobe revise (or a major shopping spree). By Hannah Martin forArchitectural Digest. In the art-filled Colombia apartment of handbag designer Nancy Gonzalez, French designer Jean-Louis Deniot installed floor-to-ceiling shelving to store her extensive collection of shoes (seen above). 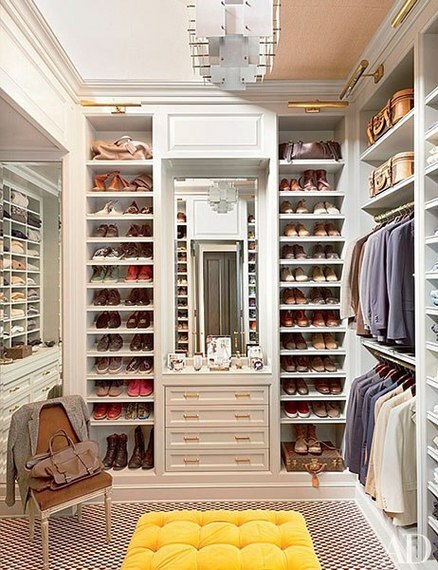 At Gisele Bündchen and Tom Brady's Los Angeles home, designer Joan Behnke employed an antique crystal chandelier, custom-made cabinetry, and marble countertops in the model's walk-in closet. When you're a globe-trotting Christian Dior P.R. executive, you have a shoe collection to prove it--the dressing room in Mathilde Favier-Meyer's Paris apartment contains more than 400 pairs. In a high-octane Los Angeles home designed by Kelly Wearstler, the wife's dressing room is lined in gold-leafed wood paneling inset with antiqued mirrors and trimmed with antiqued brass. At his San Francisco home, designer Ken Fulk created a walk-in closet from a former guest room, employing vintage shoe-display cabinets from London. Interior designer Ray Booth created a serene dressing area in the Nashville, Tennessee, home of philanthropists Jennifer and Billy Frist features light fixtures by Charles Edwards. A handblown glass chandelier by jGoodDesign accents a dressing area in the Manhattan home of businessman Michael Hirtenstein and his wife, Christina. The island is made of rosewood and leather, and the shelves and closets are backed with gold mirror. In the 19th-century Brooklyn brownstone of jewelry designer Ippolita Rostagno, a gut renovation of the third story made way for the landing's expanse of closets. Crisp white cabinetry lines the walls of the master suite's dressing area in the Beverly Hills home of retail executives Dave DeMattei and Patrick Wade. The dressing room in Nate Berkus's New York apartment features a custom-made tufted ottoman covered in a Clarence House velvet; the carpeting is by Stark.